Throughout our lives we will make mistakes. Some of us will make more than others, and still others will feel like all they make is one mistake after another. We are human. It is our nature to be imperfect, and as such, we cannot be flawless in our decision-making. What we can do, however, is learn from those mistakes so that we make better decisions in the future. 3. There was some other decision-making breakdown or flaw. Once you acknowledge the mistakes you have made, you can move on to learning valuable life lessons from them. In preparation for a future life-choice opportunity, review and think through what went awry the last time you made a self-defeating or self-destructive life-choice! Take time to decide on what will be a more constructive or beneficial way to handle a similar choice the next time around. 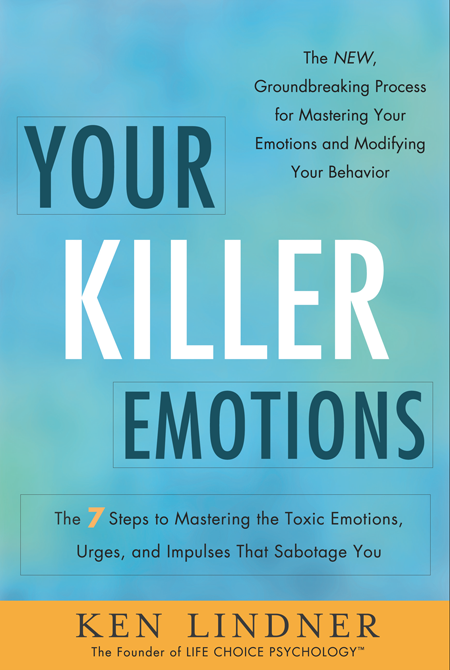 Essentially, you will be creating some inner conversations that acknowledge a flawed life choice was made in the past and identify a more effectively thought out strategy for your future. “The last time I was offered too much alcohol at a party/dinner, I continued drinking because I wanted to be social and it seemed harmless at the time. The lapse in judgment resulted in my getting a DUI and I lost my license. It was awful and devastating in many ways. The key to learning from your mistakes is to acknowledge the mistake in the past and develop a revised and significantly more beneficial game plan to implement in the future. The aim of these steps is to secure a far more desirable result the next time a life choice involving a particular stimulus is presented. 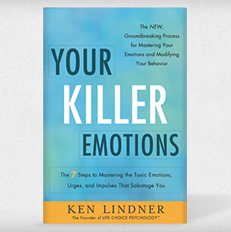 This entry was posted in Blog Post and tagged consequences, decision making, decisions, ken lindner, life choices, life-choice psychology, mistakes, toxic emotions, your killer emotions. Bookmark the permalink.